We get asked this a lot "Could it really have increased in value that much in a year?" 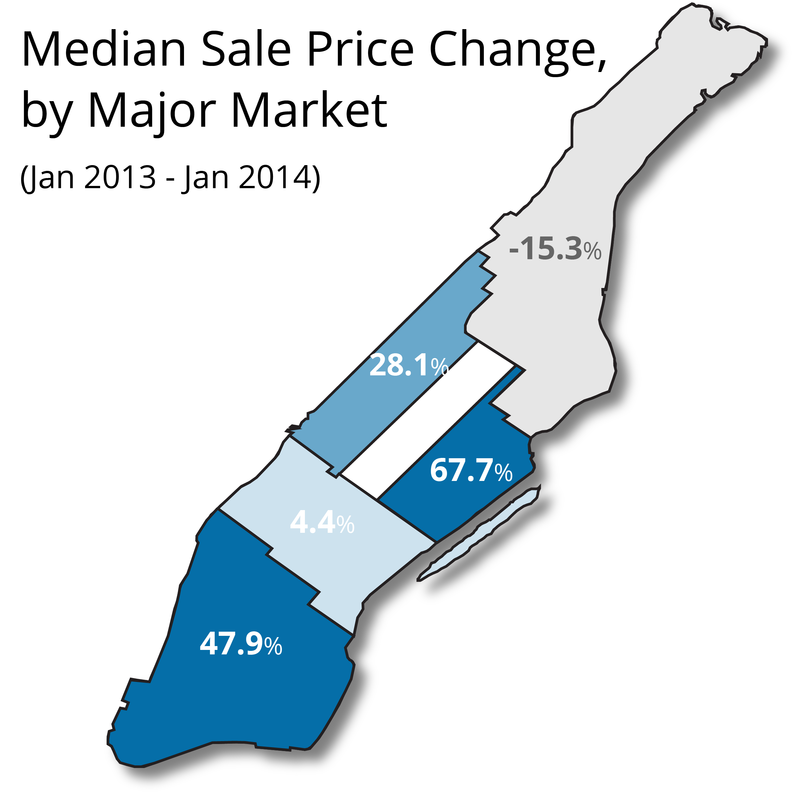 The median sale price in Manhattan increased 32% in January 2014 from the previous year to $970,000. Among the major markets in Manhattan, the Upper East Side saw the greatest year over year increase in median sale price, jumping nearly 70%.